Zephyr Real Estate opened its doors over 38+ years ago, and has become one of the most highly respected real estate firms in San Francisco and the Bay Area – not only by our clients, but also by the entire real estate community. Largest independent real estate firm, with over two billion dollars in gross annual sales in 2018! The annual 2017 REAL Trends 500 broker rankings across the nation have just been released. Zephyr Real Estate has once again placed high on the list at No. 84 nationwide on rankings by sales volume. 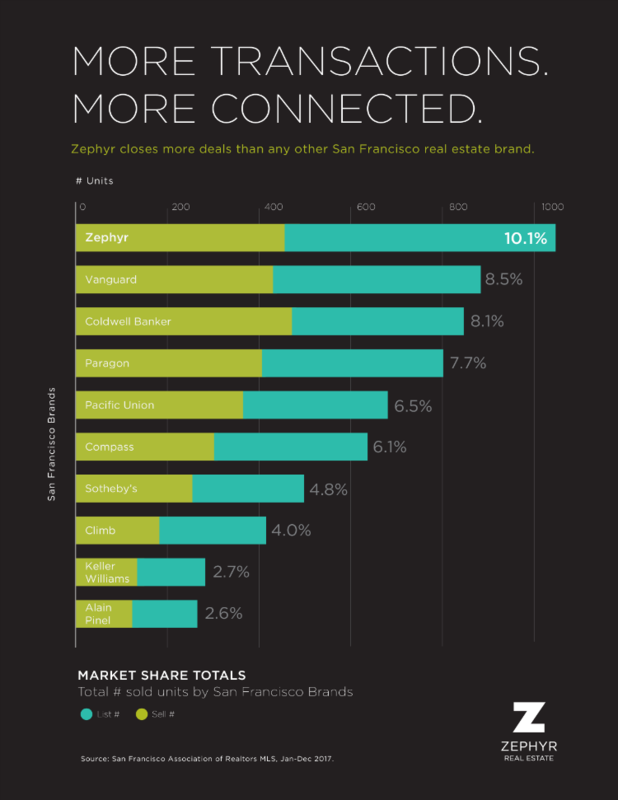 With a sales volume of $2,295,280,267 and 1,840 transactions, Zephyr maintains its position ahead of its competitors. Zephyr is tops in sales and service. Zephyr understands the San Francisco market like no one else. With gross sales at $2.3 billion in 2016, our phenomenal growth and success reflects our commitment to providing the highest quality real estate services to each of our clients. 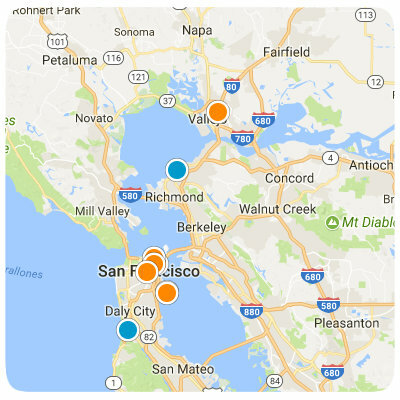 With over 37 years of experience, dedication and results, Zephyr remains at the top in all of San Francisco’s neighborhoods. Zephyr will provide top results for you.